Now, a little high-profile praise and over the top reporting never did any aspiring artist any harm but it can be a double-edged sword. When you then cite Springsteen and Jackson Browne as musical influences not only do the expectation levels go through the roof but there is also an anticipation of the style and sound of music that will be on offer. For this, his third album, Taerk headed to Nashville to co-produce with Teddy Morgan before finishing it up in his native Toronto and the sound and feel of the songs have that great behemoth stamped all over them. Big production, big sound, oft-repeated soaring choruses, this is everything mainstream Nashville is all about these days. This is aimed unashamedly at the mainstream radio audience and indeed, there probably isn’t a song on here that hasn’t the potential to keep Ken Bruce in singles for a year. So it is that we have songs about “sneaking under the bleachers for our first kiss” from ‘Anywhere Love Took Us’ while ‘Beauty Queen’ gives us “beauty queen, not even 17” a tale of how being popular at high school isn’t all it is cracked up to be and the secret loneliness in keeping up appearances: “sweet 16, living out your mother’s dream”. Hands up all music fans this side of the pond who wouldn’t be devastated to never hear another song or see another movie about American high school angst. This is radio friendly country-pop and, viewed solely from that perspective, it works. Perfect summer, windows down, cruising with your girlfriend, high energy, pop. 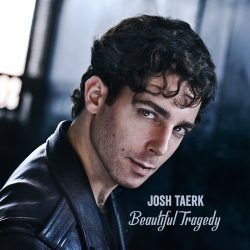 For a break from the incessantly high tempo of the album there is ‘Jekyll Or Hyde’ and ‘After The Fall’ but even here Taerk brings the big, bold soaring chorus approach to the table so that even these slower ballads end up on the Radio 2 daytime playlist production line. Fans of Lady Antebellum, Little Big Town, etc. will find plenty to love here but, sorry Springsteen and Browne devotees, this is not for you no matter what the PR headlines may tell you.